My teacher thinks I did not show enough of my work on my homework. So now my mom has to book an appointment with my teacher because they think I copied off of someone! (I think my teacher HATES ME even though she says she loves her students.) I am really scared because my mom will probably be mad at me and ground me for a month! What should I do?! Okay, the tricky thing here is that my answer is going to be different based on one really important question: DID you cheat in some way? If you DID cheat, whether that was by copying someone else’s homework, finding the answers online, using a calculator if you weren’t supposed to, etc., it’s not the end of your academic career. BUT cheating IS a slippery slope. Once you do it a few times, it just gets easier and easier. And suddenly it’s not just homework—it’s cheating on tests, or plagiarizing work or a report. “Plagiarizing” is just a big, fancy word that means copying someone else’s work and calling it your own. And since SO many kids do it, it almost seems normal, but it’s really NOT GOOD. The MAIN reason is that you don’t actually learn the material if you cheat to get the answers. That might make me sound like a total goody-goody, but in something like math (which I’m guessing we’re talking about, since that’s usually where you have to show your work), if you don’t learn the material in one level, but get moved on to the next level because your scores look good, you won’t be able to learn the material at the next level, because it all builds on top of each other. And then you’ll HAVE to cheat to stay afloat, and it’s a vicious cycle!!! So, if you DID cheat, I think you need to come clean. Honesty counts for something. Explain why you did it, for one thing. If it was because you couldn’t figure out how to do the work and were stressed out over keeping your grades up, hopefully your teacher and parent will work with you to make sure that doesn’t happen again. And then, accept the consequences and commit to staying away from the cheating slope. OMG!! 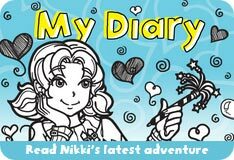 Something very similar happened to ME in Dork Diaries Book 11 when a teacher’s lesson planner came up missing! This girl named Tiffany hid the lesson planner in my stuff to make it looked like I stole it when I didn’t. So, I know exactly how you feel to be blamed for something you DID NOT do! 🙁 !! Try to understand why they think you cheated. Be prepared to defend yourself, and possibly to do some similar work while your teacher watches. If it’s math that you’re doing in your head, explain to her how you think it through. If you’re using a different process than they want you to use, show them what you’re doing. Using an unapproved process is different than cheating. They may want you to learn their process, but they’ll be relieved to see you really are doing the work. 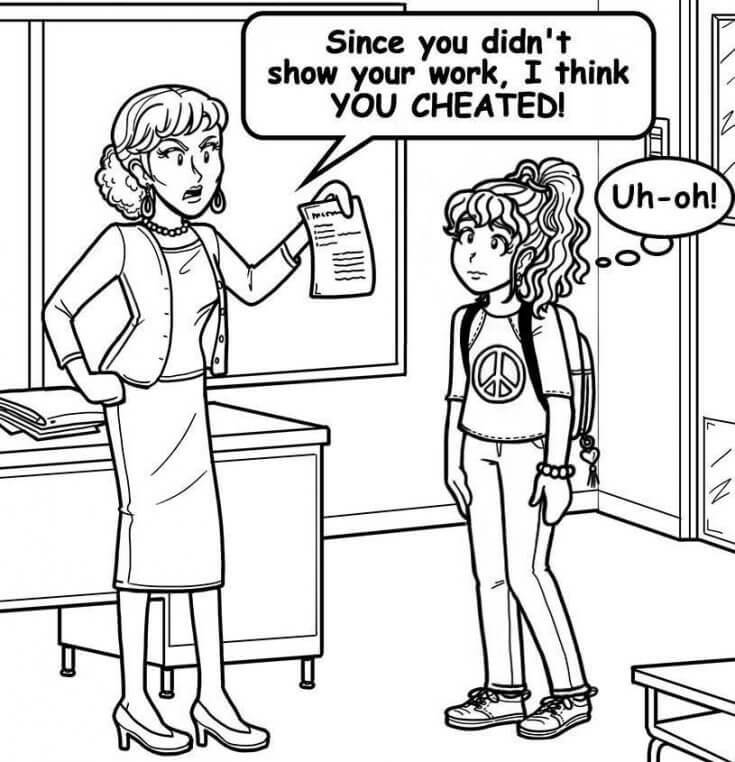 And even if there’s no way to PROVE to your teacher or mom that you weren’t cheating, you stood up for yourself. But in homework and tests going forward, make a real effort to show more work. As for your teacher hating you, she doesn’t. I’ve been there, and some teacher-student match-ups are just not great combinations. But she doesn’t hate you. Whether you cheated or didn’t, try not to freak out. I know that awful feeling in your gut when you think you might be in trouble, but look, your teacher and your mom both want what’s best for you. If they didn’t, they wouldn’t go through the trouble of having a special meeting for you. You’ll get through this, and hopefully you’ll get through it with some new tools for communicating with your teacher and your mom about how you’re doing as you learn new things. Have you ever been wrongfully accused of cheating (or something else)? Have you ever had a teacher that seemed to be out to get you? What advice do you have for Charged With Cheating? Tell us in the comments below.